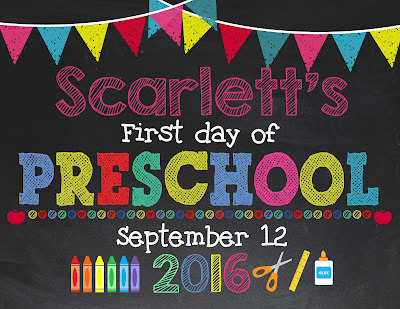 Sammi's Blog of Life: Scarlett's Going to Preschool! We've had a really fun summer and have done so much, but now it's time to go to school! Some might think Scarlett is too young to go to school, but I feel like it's a positive thing to socialize a child and have them learn in a classroom setting from an early age. The wonderful thing about Scarlett's school is that she also went to camp there all summer. She's familiar with the establishment and likes her teachers. I'm very lucky and fortunate that the drop-off process was a breeze and she didn't cry at all, especially since she was never away from me before! Her first day is Monday. I'm looking forward to having the experience of school to help her to further thrive and develop as a toddler. Maybe it will even help her speech too? For now, we're only sending her one day a week because she's so young. Next year, we'll be sending her two days a week since she'll officially be two. She's in a two's class right now as she turns two at the end of the year. Scarlett's teacher is very creative and engaging and sent weekly activities and guidelines for what the children did at camp each week via email. I'm interested to see what her first week brings! I can't wait for her to bring home cute pictures and artwork that she made. 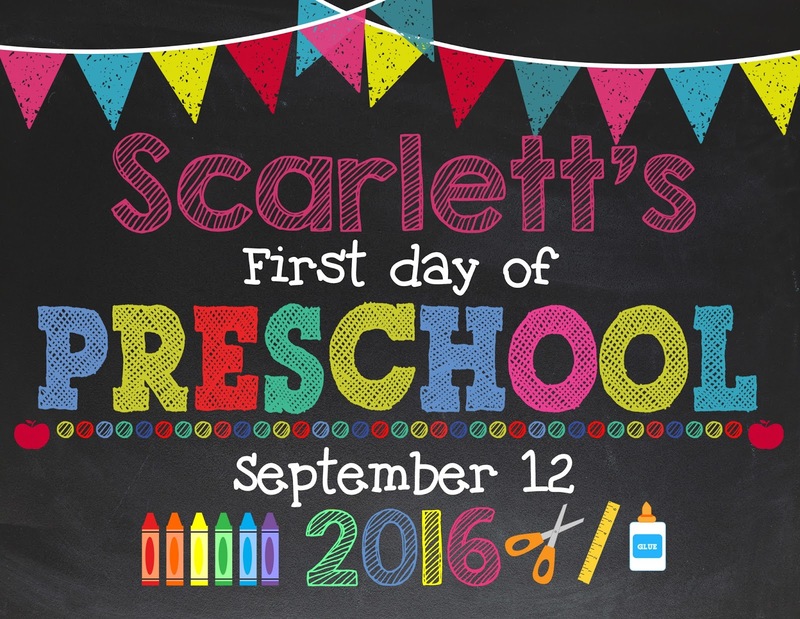 It would also be nice to meet other mom's and have Scarlett make new friends too. Her elephant backpack is ready to go to school! Here's to hoping she has a great first day on Monday!